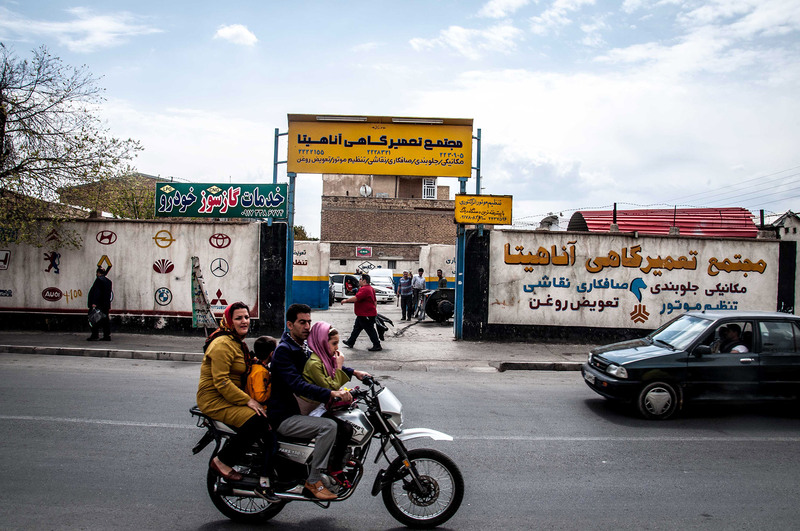 A family rides their motorbike on the outskirts of Shiraz. This city in the south of Iran is famous for wine and poets. March 2014.